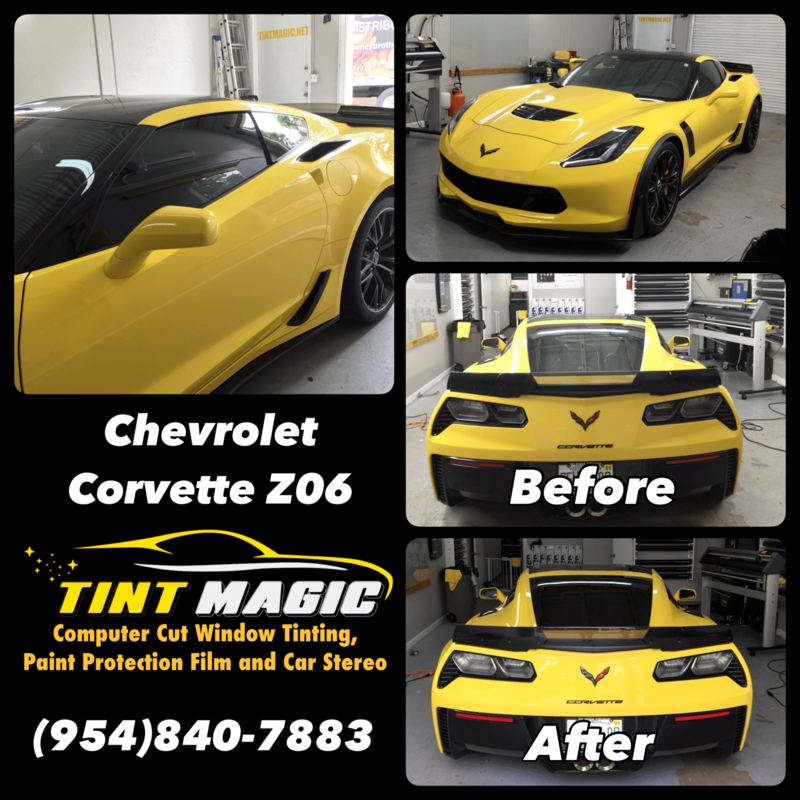 Chevrolet Corvette Z06 at Tint Magic Window Tinting Coral Springs. We have applied Llumar CTX Nano Ceramic Tint for the best heat rejection, more than 99% UV protection and less distracting glare. Call us! (954) 840-7883. We are located at 11344 Wiles Road Coral Springs, Fl 33076.